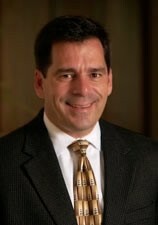 Jeff is a Founding Partner of Castle Advisors, LLP. For over 25 years, Jeff has been bringing creative insurance and financial solutions to individuals and businesses. He has always valued the importance of staying well informed, and throughout his career has placed a major emphasis on continuing education and keeping current with the changes in tax laws, products and industry trends. He demonstrates a sincere concern for his clients and works hard to put their interests and needs at the forefront of his practice. He feels that the combination of knowledge and character are the cornerstones for his professional relationships. Areas of specialization include comprehensive pre- and post-retirement planning services as well as estate and wealth transfer planning. Jeff helps his clients' transition from a focus on the Return on Investment (ROI) during their working years to a focus on the Reliability of Income (ROI) in retirement. With the knowledge that one of the greatest risks facing retirees today is the risk of outliving their retirement, Jeff is fully aware of the huge responsibility to get it right. He believes fundamental to the retirement planning process is risk management, which requires an integrated analysis of life insurance, disability insurance, long term care and retirement needs. In addition to working with individuals, Jeff helps business owners and executives design and implement employee and executive benefit plans as well as manage their succession planning; the keys to his approach are creativity, knowledge, quality service and employee education. After receiving a business degree in finance from the University of Vermont, Jeff began his career in 1985 when he joined his father, Jim, at Penn Mutual as a third generation insurance professional. In 2003, Jeff joined NFP Securities, Inc. and in 2009 Dan Reagan and Tim Peyko as a Founding Partner of the firm Castle Advisors, LLP. Jeff is a Life Underwriting Training Counsel Fellow, and received both the Chartered Life Underwriter (CLU) and Chartered Financial Consultant (ChFC) designations from The American College. These highly respected designations require broad studies in insurance, taxation and financial planning and hold designees to a strict code of ethics. He is a Registered Representative with Cetera Financial Specialists LLC and an Investment Advisor Representative with Cetera Investment Advisers LLC offering insurance, investment and advisory services. Jeff does not provide tax or legal advice. Jeff lives in Shelburne with his wife Amy and their three children Amanda, Emily and Nicholas. A native Vermonter, he has a love for the outdoors. He enjoys hunting, fishing, hiking, skiing, boating and camping with his family. He enjoys watching and coaching his children in their sports. Jeff is also an avid squash and basketball player.